The Telegraph newspaper ran a feature on the best Italian Operas on in the UK this Autumn, including our production of Il Trovatore. This rarely performed piece will be conducted by James Hendry. 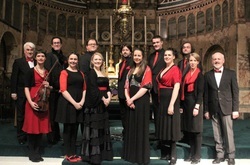 Soloists include National G&S Opera Company star Bruce Graham, Helen Anne Gregory and Lauren Lea Fielder, supported by the Leeds Philharmonic Chorus and members of local choral societies, accompanied by the Piccadilly Symphony Orchestra. The Golden Legend is a cantata by Arthur Sullivan with libretto by Joseph Bennett, based on the 1851 poem of the same name by Henry Wadsworth Longfellow and premiered at the triennial Leeds Music Festival in 1886. Scenes following the premiere transcended any known before, with the audience on its feet waving programmes and hats, climbing on chairs and hurling flowers. During Sullivan’s lifetime it was widely considered his greatest and most successful work of serious music. Indeed, outside of the comic operas with W S Gilbert, this cantata was widely regarded as Sullivan’s most successful large-scale composition. 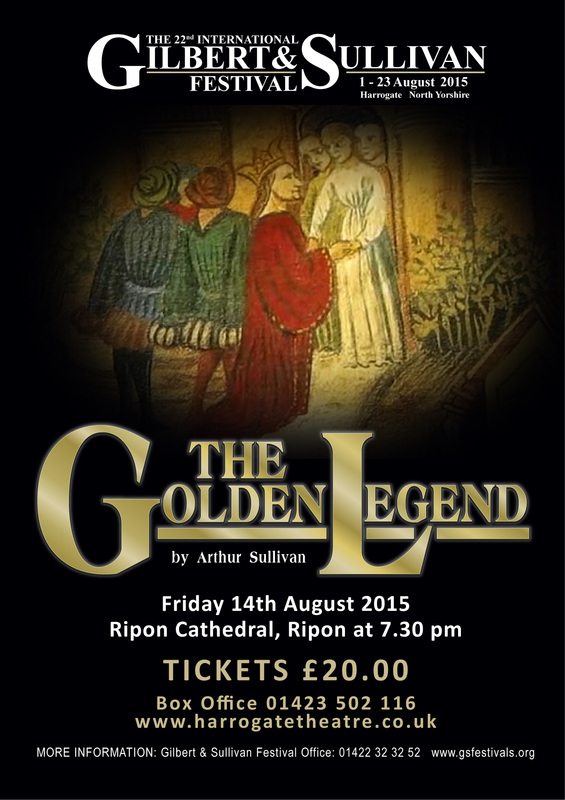 Ripon Cathedral is a beautiful, ancient church with a history reaching back to the 7th Century. It is a mother church for the Diocese of West Yorkshire and the Dales and home for the cathedra (throne) of the Bishop of Leeds. Ripon Cathedral was founded by St Wilfrid (c.634-709), who brought craftsmen from Europe to build a new stone church on this site. It was dedicated to St Peter in 672. Of this original building, only the Saxon crypt survives. The present church contains several architectural styles. The transepts (the ‘arms’ of a cross-shaped church) date from the late 1100s, and show a mixture of rounded Norman arches and later pointed Gothic arches. The west front (1220s) is a splendid example of the Early English Gothic style. Daniel Slater's production of Cunning Little Vixen for Garsington Opera, in which Helen played Pi Pasek, has been voted Best New Opera Production 2014! Helen will be performing before the Super League fixture Bradford Bulls vs Castleford at Odsal Stadium this Sunday at 2:30pm. As a Bradford girl, Helen is a lifelong Bradford Bulls fun so she loves to perform at Odsal Stadium. 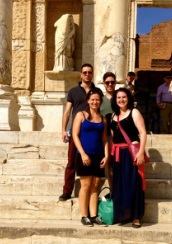 Helen has just returned from working on the cruise ship Minerva for Swan Hellenic where she was singing as part of a quartet on behalf of Opera Barcarola. Her colleagues were Soprano Rannveig Káradóttir, Tenor Elgan Llyr Thomas and Pianist David Malusa. The group performed 4 concerts on the ships cruise of Turkey and Greece and they received wonderful feedback from all on board. 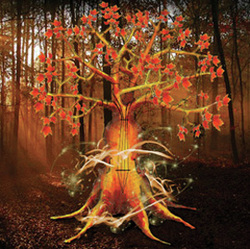 After the success of last years production of Hansel & Gretel, Garsington Opera's Emerging Artists will be taking Olivia Fuch's wonderful production to the West Green Opera Festival in July 2014. Helen will be playing the role of the Witch. Please see the link above for ticket information. Helen will be returning to Garsington Opera next Summer to make her Role Debut for the Company as The Innkeepers Wife (Pi Pasek) in Janacek's Cunning Little Vixen which will be performed in Czech with Conductor Garry Walker, Director Daniel Slater Designer Robert Innes Hopkins. She will also be joining the Chorus in the revival of their production of Beethoven's Fidelio. 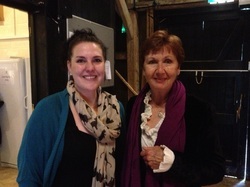 Helen is delighted to have been selected to take part in a Masterclass with mezzo soprano Ann Murray at Wormsley Estate on Tuesday 2nd of July. She will be performing Sein Wir Wieder Gut from Strauss' Ariadne auf Naxos and will be joined by 5 other members of this years Garsington Opera Young Artists. Manchester Theatre Awards. These are two productions that Helen was very proud to have been part of. 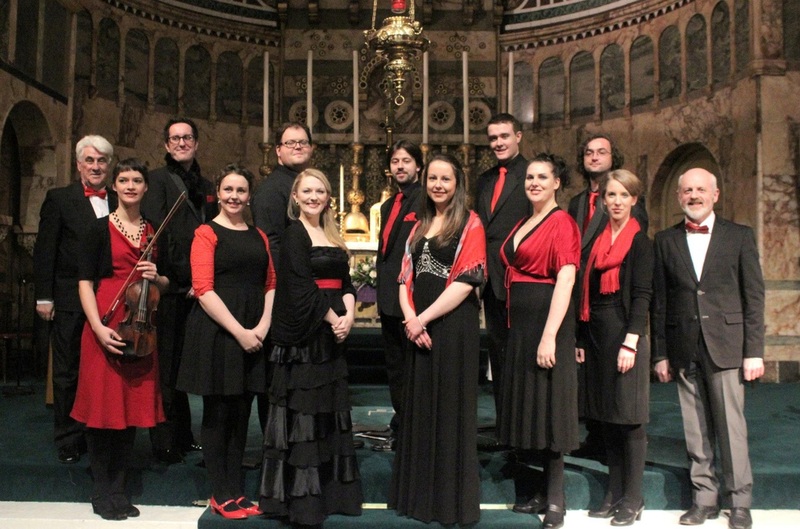 This last weekend saw the first Christmas Gathering concert over in Dublin. The concept was the idea of Conleth Stanley. The choir consisted of !0 up and coming young singers from Ireland and UK, all soloists in their own right but also singing together. The programme consisted of Christmas Carols and excerpts from the Messiah. 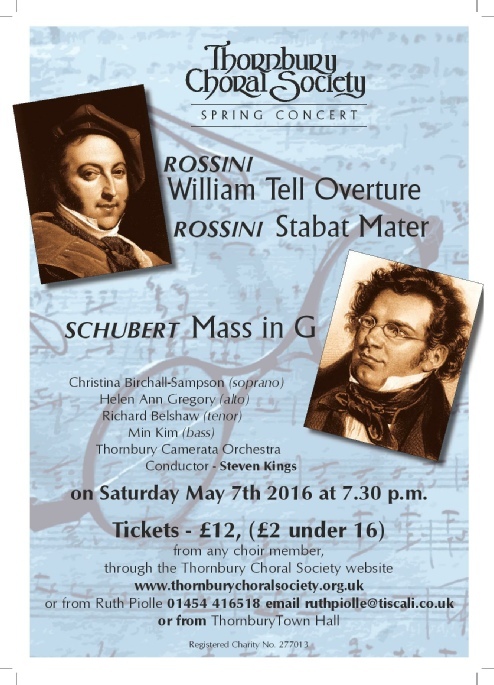 It is hoped that this will be the first of many such annual concerts in the city. 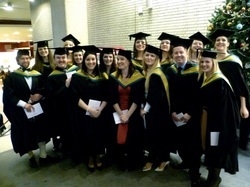 Helen and her year group graduated from the Royal Northern College of Music on 4th December 2012. It was a great day with some inspiring words from the RNCM president Sir Willard White. Here is a picture from the Performance of Handel's Messiah which took place last saturday 1st December at Preston Minster. 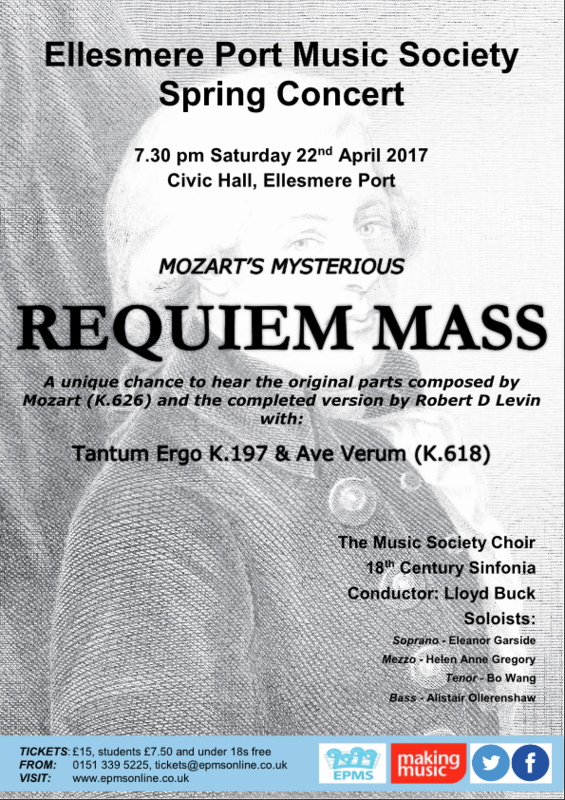 This was a wonderful performance by Preston Cecelian Choir and Lancashire Symphonietta under the baton of Marco Fanti. The other soloists were (Sop) Sarah Parkin, (Ten) Bo Wang and (Bar) Thomas Eaglen. 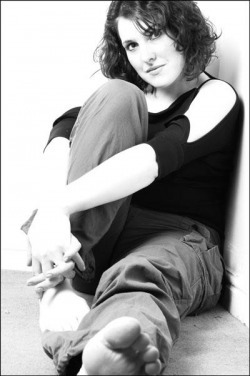 Helen will be singing the Wesendonck Lieder at the Bridgewater Hall on October 18th 2012. This will be her debut concert at this venue. She will be accompanied by Jonathan Fisher. On Tuesday 4th Sept, Helen will be performing her final assessed recital at the RNCM, accompanied by Jonathan Fisher. The programme will consist of Wagner's Wesendonck Lieder and Elgar's Sea Pictures. This is open to the public. ​mix of arias from Carmen and songs from musicals at the Yorkshire Day dinner at the Leeds Club." 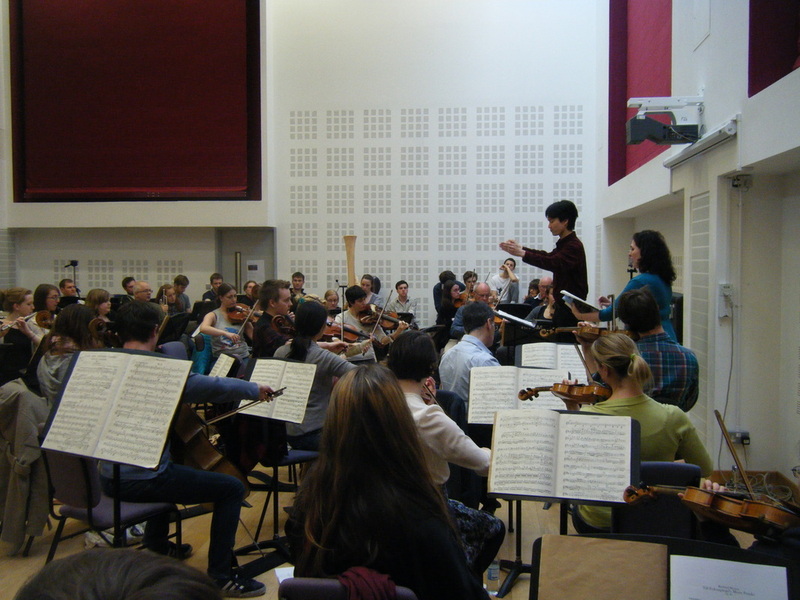 This weekend Helen had the opportunity to perform Mahler's Lieder eines fahrendes Gesellen with orchestra as part of the RNCM Conductors weekend course. It was a fabulous opportunity to experience performing this wonderful work with full orchestra. 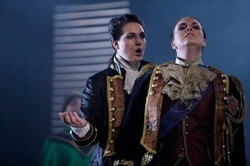 Helen and fellow cast member Heather Ireson were interviewed on their roles in the RNCM production of Xerxes for the RNCM Blog. Helen would like to thank The Yorkshire Ladies' Council of Education for their award of a Bursary towards her college fees. Helen is very grateful for the financial support of The Kathleen Trust who have awarded her a grant of £3,000 towards her final years fees at the RNCM. Helen is pleased to announce that she has been chosen as a finalist for the Elizabeth Harwood Memorial Award which will take place on Thursday 15th March in the RNCM Concert Hall, starting at 7:30pm. The Elizabeth Harwood Award was founded in memory of the much-loved Yorkshire soprano and provides support for an outstanding final year singer. The adjudicating panel will include the celebrated singer Donald Maxwell. For more information / Tickets click here. Helen will be performing Joseph Horowitz's piece - Lady Macbeth a Scena at the RNCM's Shakespeare themed Day of Song on Sunday 29th April 2012, 7:30pm in the RNCM Concert Hall. A wide-ranging concert beginning with the RNCM Chamber Choir and Vaughan Williams’ Three Shakespeare Songs, and also featuring that composer's Serenade to Music, based on the The Merchant of Venice, and performed tonight in the arrangement for four soloists, piano and violin. This varied programme will also feature Stravinsky’s Three Shakespeare Songs, a Finzi song cycle, the Lady Macbeth Scena for mezzo-soprano and piano by Joseph Horovitz, and even a touch of Johnny Dankworth. In an evening not to be missed, Shakespeare’s Puck will have the final say. For more information/tickets click here. Helen is very excited to announce that she will be playing the role of Arsamenes in the RNCM production of Handel's Serse in March 2012. There are 2 casts and Helen will be performing on Thu 22nd, Tues 27th and Sat 31st March. Helen is delighted to have been offered the role of the Witch in Clonter Opera's July 2012 production of Hansel and Gretel. Sung in English with Orchestra. Helen has been awarded the Eunice Pettigrew Prize from the RNCM for 2010-2011. Helen is pleased to announce that she will be playing the role of Florence Pike in the RNCM's production of Britten's Albert Herring on 13th & 17th December 2011. The eminent English conductor, Raymond Leppard, is giving a masterclass for vocal students based on his insight and expertise in the world of Early Music repertoire: Monteverdi and Cavalli. Raymond will listen to and offer guidance to six RNCM singers and there are expected to be up to 50 vocal students in the audience. Helen will be performing in excerpts of Cavalli's "La Calisto" and Handel's "Alcina". On the 9th of May Helen will be a finalist for the prestigious Annie Ridyard Scholarship competition at the RNCM. In June Helen will be performing in the following opera scenes at the RNCM. Helen will be a finalist in the RNCM's prestigious Strauss Prize. 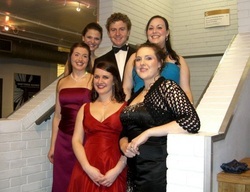 Senior students from the RNCM School of Vocal Studies compete in the finals of The Joyce and Michael Kennedy Award for the Singing of Strauss, singing Lieder or arias by the composer. This year’s adjudicating panel is chaired by Roger Vignoles. Jenufa. This will be Huddersfield Youth Opera's first full opera and is a very exciting project. Jenůfa will be performed in English on 15th and 16th September 2011 with a new translation by Jonathan Clift and under the musical direction of Fraser Goulding. For more information as it becomes available see Huddersfield Youth Opera's website. Stephen Sondheim’s award-winning musical casts a new light on stories that, at first, appear familiar: a servant girl dreams of attending a ball; a boy exchanges his cow for five magic beans; a little girl in a red cape falls prey to a fiendish wolf; a childless baker and his wife suffer under a witch’s curse. 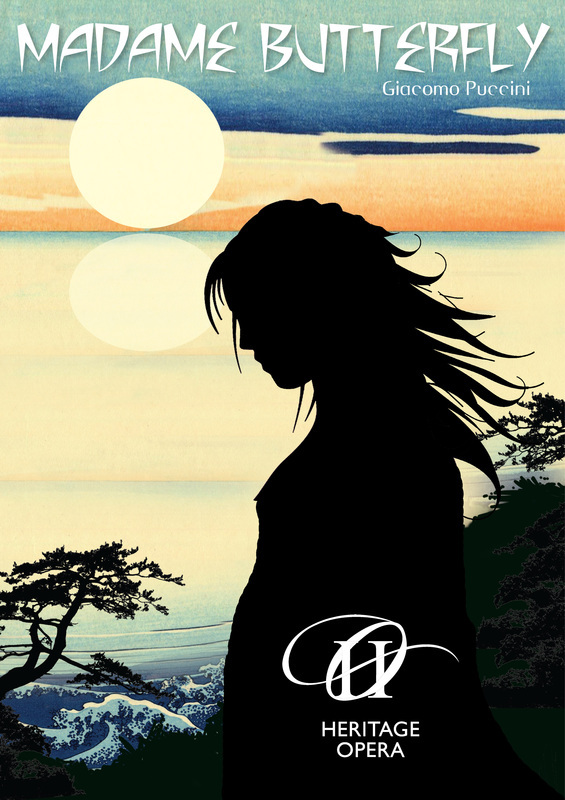 As their stories intertwine, the question is asked: can anyone be sure that what they wish, is what they want? And is it really possible to live ‘happily ever after’? This student-helmed production, the first of its kind at the RNCM, presents the show in an inventive and inspiring way: a versatile actormusician ensemble, drawn from students across the College, not only creates the characters and story but also provides their own musical accompaniment. 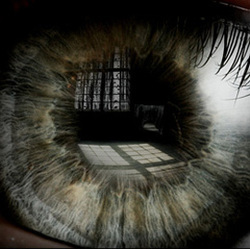 A student performance by permission of Josef Weinberger Ltd.
"Turn of the Screw" in the RNCM's Spring Opera Excerpts concerts. Helen will be covering the role of the Baroness in Barber's Vanessa which will be staged next March at the RNCM. The Covers performance will be on March 29th. On Monday 15th November, Helen will be competing in the Bessie Cronshaw/Frost Brownson Song Cycle prize at the RNCM. 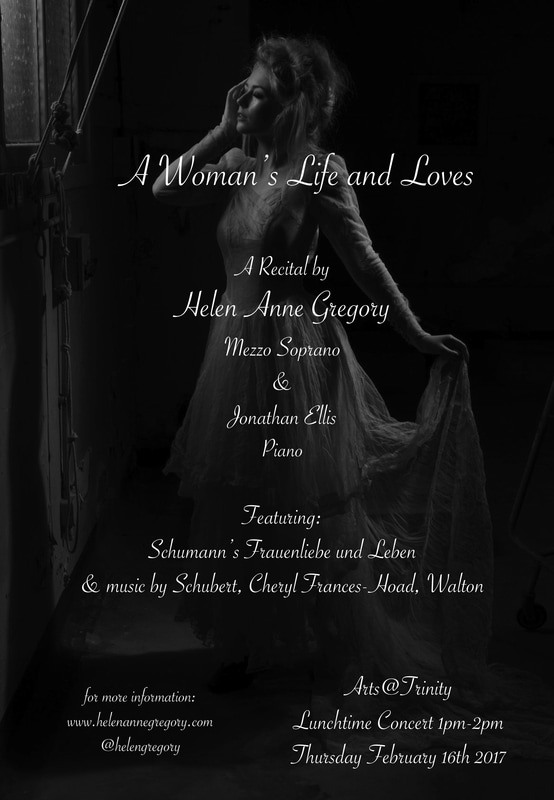 Helen will be singing Schumann's wonderful song cycle "Frauenlieben und Leben" and she will be accompanied by Sophie Lythgoe. Helen will be doing a recital with all procedes going to the Gambian Schools Trust. North Star Opera have announced officially their Summer Tour 2011. As previously reported on here Helen will be singing the Role of Maddalena in Rigoletto. 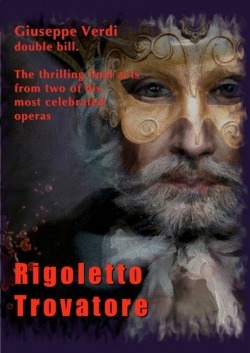 The show will consist of Rigoletto Act 3 and Trovatore Act 4. See www.northstaropera.com for more details. Helen will be singing in a concert of operatic exerpts for Huddersfield Youth Opera in September this year. This is the first outing of this new company who hope to do a full scale opera production next autumn. Helen has been asked to sing the roles of Carmen (Carmen) and Leonora (Fidelio). Helen is delighted to have been asked back to sing with Macclesfield Oriana Choir as Alto soloist in a performance of Handels Messiah and other christmas works on 4th December 2010. 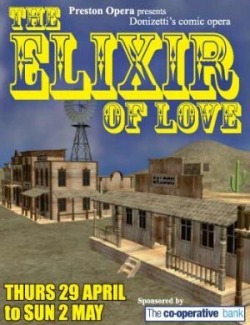 This week at Preston's Charter Theatre, Helen appeared in Preston Opera's production of Donizetti's Elixir of Love. 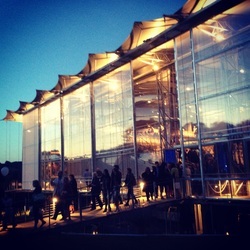 The show was a great success. 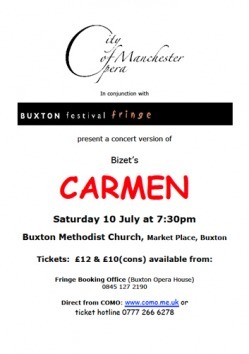 Helen will be playing Carmen at Buxton Fringe Festival this year in City of Manchester Opera's concert performance at Buxton Methodist Church on 10th July. Helen has made it through as a finalist for the RNCM's Annie Ridyard Scholarship for Mezzo Sopranos. The final will take place in the Opera Theatre at the RNCM on Monday 3rd May. 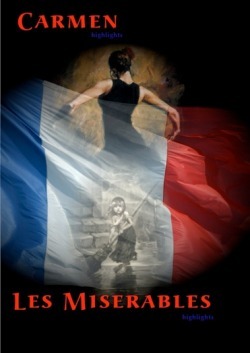 Tickets are on sale for North Star Opera's summer tour of Carmen / Les Miserable and can be purchased now online. Helen will be singing the role of Carmen.